One of my favorite period novels (which seems odd to call it that, makes me feel old) is Red Storm Rising, I think its Clancy's best work because it describes the conflict without having a complicated storyline from other books like his Ryan series. One of the parts that always got me was the description (or at least my interpretation) of just how the novel's events came about- it was a big wargaming session between Clancy and Bond where each played out one side of the projected WWIII using a game system. IIRC Clancy got surprised by Bond's capture of Iceland to break the G-I-UK line as well as the sucker punch against a NATO carrier group at the beginning . . . and Bond got surprised by the strategic impact of stealth fighters tactical engagement of Mainstays. I need to find the English version of the same sort of book done from the Soviet side, I forget the title. I have head of other games that involved the same sort of scale, and always thought it would be fun to do with BT but the closest it came for a long time IMO was Combat Op's Battletech Strategic Game which was never fully detailed. Now we have Inner Sphere at War and ASC . . . So folks who have played with the abstract strategic game . . . give me insights! Tell me which system would work for a BT version of a Red Storm Rising! Lend me your experienced insights. ACS would work fine but we have found that once you get more than four Commands per side (50+ CUs each) the battles need to be sub-divided into 'Fronts". There are a lot of options. What sort of "Force" size are you thinking about? What I was thinking was 3090 FWL doing a GoT War of the Five Kings remix. Overall national forces will be small, have to still worry about other Houses, and lots of open planets to conquer or convince diplomatically. Get to play with Corrine, Titus, Fake Tom or Jessica, Fontaine and the Rim figuring themselves out. Well then, with a group that size and a limited scope you should have no problem making ACS work for you. You could consider using ACS for the main battles and either Scaled SBF or adv SBF for battles players may have "personal" or favourite units involved. We have two threads below that run through the ISaW and ACS turns. The Welshman (Mr Joel) has also been responding to Q&A up in the rules forums (a slow process for obvious reasons). I'll do what I can to answer questions on how we have interpreted the rules as well if you so desire. Man. i still have a hard copy of that book and I remember playing the sub simulation game that was put out on my very first home PC. I would second The Purist; use ACS for some main battles, but I think the conflicts are small enough in that era that you really could do a lot of battles with sbf or adv sbf. Well, not just talking about the battles . . . but about the politics and positioning. 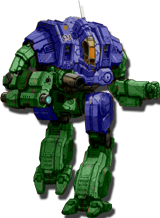 For instance, what I remember of the Battletech Strategic Game you had characters that could be sent on missions or command forces to effect the outcomes. There are Leadership Ratings based on experience for Force Commanders and there is no reason why PC characters could not use these in a campaign. Further, Second Succession War introduced espionage, sabotage and black ops . A PC group could take on the role of the ACS Spec Ops teams using TW or ATOW to execute missions. And that's one of the things I love about this game. It could certainly scale better, but I can't think of any other system that covers the range BattleTech does at all. Assigning LR to specific leaders is where you want to go with specific characters. If you wanted to go really old school, you could take inspiration from the old Succession Wars game, and some leaders would give economic advantages as well - that would have to be pretty small to make sure that it's not too unbalancing, however. A new special operation for assasination could be cooked up pretty easily. Yeah, I want to say the Battletech Strategic Game dealt with the economic model and making characters governors . . . basically something like the old SW Rebellion or the new Stellaris game. Maybe I was not clear . . . I was sort of looking for the set of rules, or mixing of rules, that allows me to play a Total War style strategic game set in the BT universe- though without the tactical battle coordination. Unless its done as a MM representative slice of each force involved in the fight.